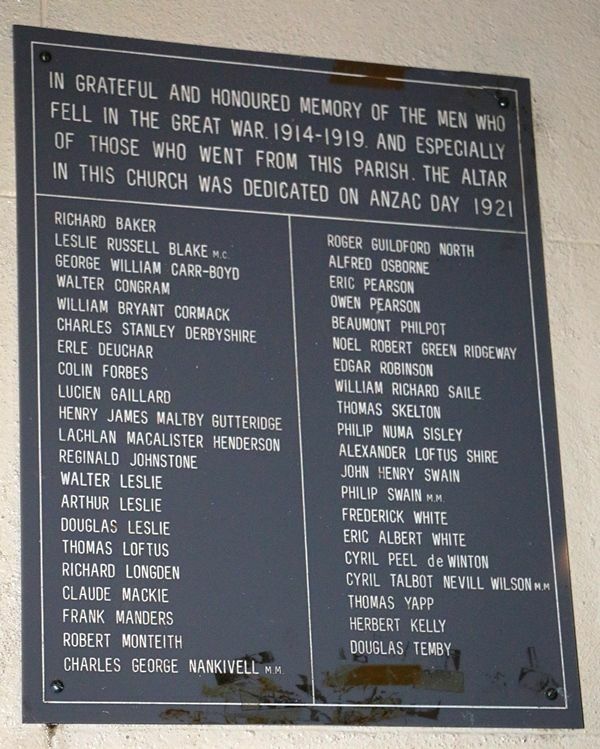 St Thomas` Anglican Church Honour Roll commemorates those from the parish who died in service or were killed in action in World War One. There were 41 men of the Parish who died. In grateful and honoured memory of the men who fell in the Great War 1914-1919, and especially of those who went from this Parish.